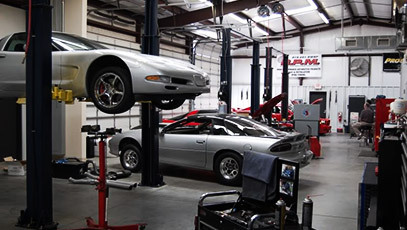 RPM Motorsports is one of the most well-known and respected companies in the General Motors after-market industry. So how does a shop endure and succeed in such a unique market? "We realized there were hundreds of thousands of GM owners and enthusiasts out there - just like us - we all wanted the same thing: affordable, well-made parts and a great company to provide them. That's what RPM Motorsports was founded on - and it's still our key to success." At RPM Motorsports you'll also find a knowledgeable sales staff who are dedicated to helping you with questions and technical information that you may need. We have an on-site Dyno-Jet chassis dyno, GM Computer tuning, multiple service bays, and a beautiful, hands-on GM parts & accessories showroom. The GM after-market has changed dramatically in the last 15 years - growing from the LT1 engine back in the early 90's to now new and improved LT1 in 2014. RPM Motorsports has been there every step of the way. And with a totally new generation of GM performance just around the corner, RPM Motorsports is primed for another 15 years of success!